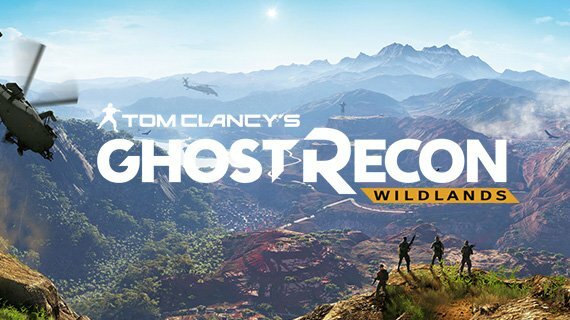 Set to be the first ever open-world Ghost Recon in the series, Ubisoft have taken huge leaps to unleash players into this expansive criminally driven world. At the heart of the desolate Bolivia where the game takes place, the Ghost Recon Wildlands story surrounds the overpowering drug cartel called Santa Blanca. Our beloved Ghosts have been sent behind enemy lines and into the heart of the terrorised, corrupted country to restore order and break ties between Santa Blanca and the government who have been letting them wreak havoc. Bolivia was the perfect place for the franchise to take on the open-world genre and their recreation of this South American country is mesmerising. With gameplay teasers and trailers exploring the variety in landscapes that this daunting and exposed map has to offer. This beautiful landscape has become the largest cocaine producer in the world. Taking on similar vibes to the popular TV series Narcos, being a protagonist at the centre of a bloody battle between power driven cartel giants and a lowly group of skilled men. The map really creates and drives each story and mission, with your main purpose to take down the Santa Blanca cartel, led by the vicious El Sueño. Ubisoft have impressed with the accuracy of drawing emotion in this startling large scale open-world map. It’s wonderful how the game makes you feel so small, yet like you are an injection of hope into the merciless drug diseased world. You will play as the Ghosts Holt, Midas, Nomad and Weaver. You can play single player or multi-player and will need endurance, patience and teamwork to take down the Santa Blanca cartel. Ghost Recon Wildlands story is gritty and mesmerising and we can’t wait to reap the full benefits of the open-world.